In the fifth part of our series to raise health awareness, Kate Chapman looks at how to understand and cope with arthritis, the number one cause of pain and disability in the UK. Aches and pains can seem worse in colder, wetter weather and in a physically demanding industry, many farmers will no doubt experience their share of arthritic conditions in the coming winter months. Extra pressure is constantly being exerted on the joints through manual work, not to mention vibrations from the machinery used and in farming there is no let up. In the UK there are 10 million people living with arthritis and more than three quarters of these suffer pain, stiffness and swelling in their joints daily. 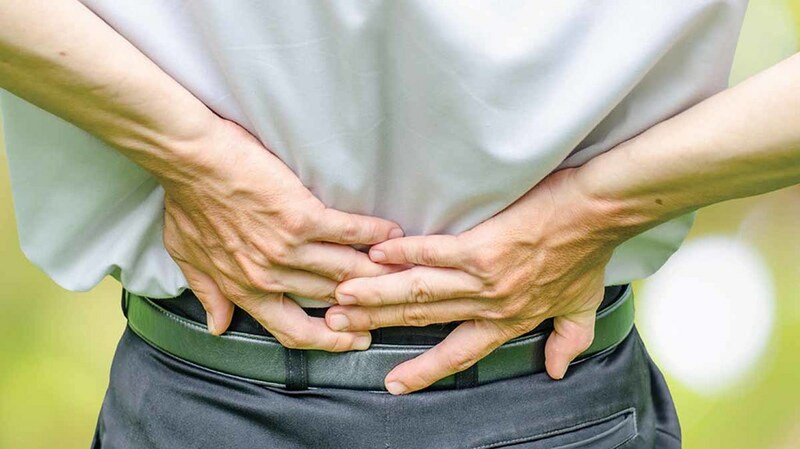 Affecting all parts of the body, including hands, knees, spine and hips, arthritis can be a debilitating and life-restricting condition, making the most basic of movements, like sitting, walking, standing or gripping extremely painful. Cancer survivor tells surgeon, "I love being outside with my livestock." There are 200 musculoskeletal forms of the condition, with the most common types being degenerative arthritis – also known as osteoarthritis – and rheumatoid arthritis. The first is a group of conditions where the cartilage covering the surface of the bones in joints becomes damaged It affects around 8.5 million people in the UK. Rheumatoid arthritis occurs when the body’s immune system attacks the joints, causing them to swell, affecting around 400,000 people. Often associated with older people, arthritis can affect men, women and children of all ages and although there are many causes, there are several factors which make some of us more susceptible than others. Genetics can play a part, as can gender, with more men developing ankylosing spondylitis (a long-term condition affecting the spine) and more women suffering rheumatoid arthritis. Injuries and physically demanding jobs can lead to osteoarthritis, while infections can also trigger short-lived arthritis. Everyone’s symptoms are different and vary. There is no cure, but there is plenty of help available to slow the onset and improve quality of life – meaning there is no need to suffer in silence. Many farmers have arthritis, although the extent of the problem across the industry remains unknown as lots try to soldier on without seeking help. Dr Kevin Hill, a GP and chairman of South Lincolnshire Clinical Commissioning Group, says farmers and labourers can be susceptible to osteoarthritis due to the nature of their manual work. There’s also other factors to add into the mix, such as their use of vibrating machinery and vehicles, which can lead to joint damage as well as sustaining other injuries in farm accidents that can also potentially lead to the onset of arthritis. “I guess you expect people in manual jobs to be more likely to get arthritis, but whether that’s true or not is difficult to say,” says Dr Hill. “However, we do see quite a few farmers and labourers – and it’s the knees, hips and big joints which tend to get affected, and often their hands too, which then results in their manual dexterity going. “Unfortunately there is a not a lot you can do about wear and tear. Once you have arthritis, you have it. Diagnosis can often be carried out in clinics, without the need for X-rays, and in many cases Dr Hill says over-the-counter painkillers and anti-inflammatory drugs can be used to treat it. “Paracetamol is relatively safe. Then there’s anti-inflammatories, but people need to be careful if they’re on other medications for things like stomach problems and high blood pressure. “Things like codeine, which is stronger, can cause drowsiness – so if you’re operating machinery, or driving a tractor on the road, you need to be careful,” he adds. Patients can be provided with exercises specific to their condition and occupational therapists can also provide help and advice about difficulties with everyday activities. In severe cases, joint replacement or pain-relieving reconstructive operations may be recommended. “Wear and tear occurs as we get older, our joints and backs start to wear out and we need to pay attention,” says Dr Hill. “People should use common sense, especially with things like manual handling. If something needs two people to lift it, make sure you have two. Rest and exercise – it’s important to keep your joints moving and your muscles strong, whether you have arthritis or not. Generally the stronger the muscles which support a joint, the less pain you’ll have in that joint. Healthy eating – avoid being overweight, as this puts extra strain on your joints. A healthy, balanced, low-fat and nutritional diet with plenty of fruit, vegetables and fibre is good for general health. Managing stress – Chronic arthritis can lower overall health and well-being and constant pain may lead to anxiety and depression. Counselling may help or you may find sharing the problem with friends and others who are affected also useful. Complementary medicines – osteopathy and chiropractic can help with some arthritic conditions. There’s a huge range of other therapies including homeopathy and herbalism and a range of food supplements you might try too. Arable farmer Jono Dixon suffers from a combination of rheumatoid arthritis and osteoarthritis in his hands, knees and back. As well as his joints becoming painful and inflamed – particularly during spells of wet and damp weather – the 60-year-old was also diagnosed with gout 10 years ago. The arthritis in his hands began shortly after leaving school in 1974, pinpointing the exact moment to when he took on a large contract making up straw bales. 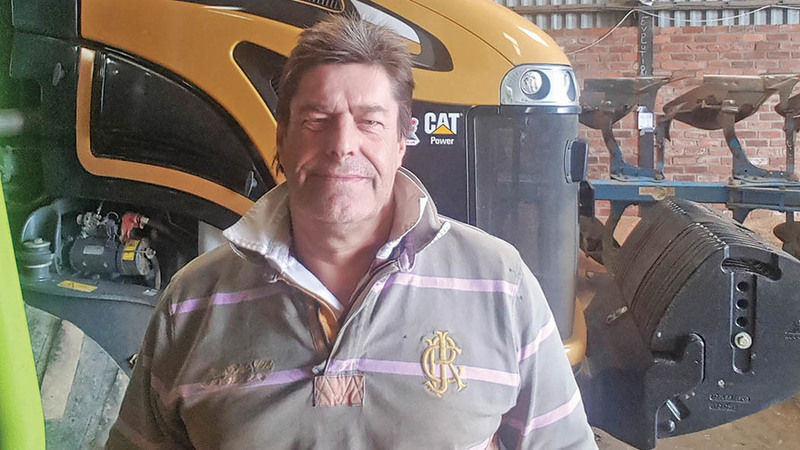 “That was the start of it and I’ve had arthritis for around 25 years,” says Jono, a Crown Estate tenant growing winter beat, vining peas and spring barley on 230 hectares, in East Yorkshire. “I was constantly using my hands and the work was very intensive. I started suffering with a bad back around the same time,” says Jono. “Now my hands can become very painful at times and stiff-jointed. Before we went for the auto-system on the tractor, if I was steering all day, there would come a point I just couldn’t move them. Jono believes finding a balance to treat his condition is crucial to his overall health. “One the best remedies I’ve found for my arthritis is a really hot bath. Sometimes, before work in the mornings, I just cannot do anything until I have been in the bath for 20 minutes. Since developing gout – a type of arthritis where small crystals form inside and around the joints, causing intense pain, redness and swelling - Jono has also modified his diet. Using a process of elimination he’s cut out red wine, port, processed tomatoes, freshly squeezed orange juice and energy drinks, which all aggravate his condition. “The arthritis makes me wary of what I do. Because of my back I cannot lift heavy things and I’ve struggled getting in some of the tractors, and getting out of others,” he adds. “If I can’t do something I have to delegate it to some of the other younger guys. “I try to remember to wear gloves to give my hands some protection, and with having weak knees I don’t wear wellingtons. I prefer trainers or steel-top capped boots.